May has been another busy month at Union Room, with a real mix of different projects taking place. As well as getting some new clients on board, we have completed some great work for existing clients such as Parkdean, Bespoke Radio and the Newcastle Drum Centre. We are well into the design and development of an iPhone app for Jamie Wilkinson of Bespoke Radio. The app very much keeps in line with the audio-related topic of Jamie’s past projects, with the added glamour of a couple of well known football personalities. We’re hoping to get this in the app store in the coming weeks. Anyone strolling down Pilgrim Street in Newcastle may have noticed the changing face of the old Blue Coyote premises. This is the new home of an exciting live music venue, due to open sometime in the late Summer of this year. We have been busy working with the people behind the venue to create an online system where they can inform users of the new acts confirmed to play, as well as the fantastic range of drinks on offer. We should be launching this soon. The new Sanderson Young website is one of our biggest projects of the year so far, consisting of multiple systems within one website. We’re nearing the launch date and are just putting the finishing touches to some of these systems. We cant wait for the website to go live and continue to help Sanderson Young improving their already stellar reputation. We work closely with the Newcastle Drum Centre on a number of projects each and every month, ranging from creative work through to search engine optimisation. One of the larger projects we have been working on is Starting Drums, which gives users a great place to learn about the art of drumming and the kit you’ll need to get going. 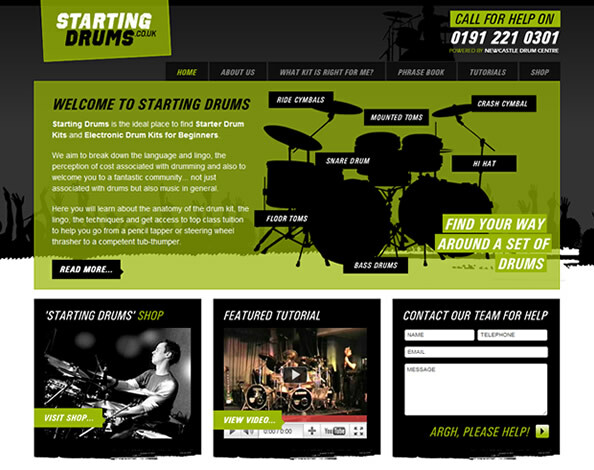 View the Starting Drums website. We launched Surfer’s Paradise last month after working with the team at Parkdean on the project since the turn of the year. Surfer’s Paradise gives surfers and families a great chance to pitch on the doorstep of one of the UK’s best surfing locations and beaches. The website contains a full booking system, allowing users to secure their pitch for the first time in the site’s history. Visit the Surfer’s Paradise website. 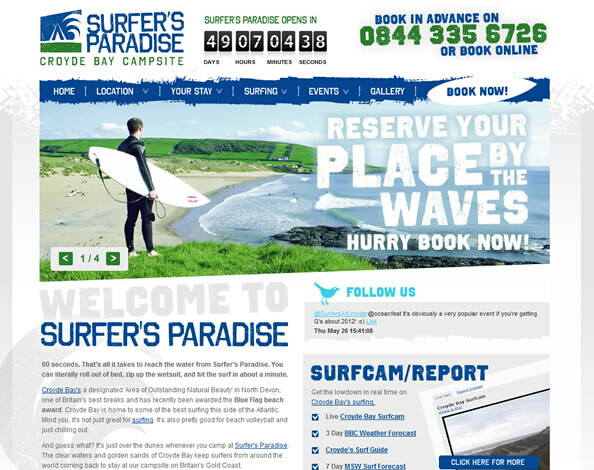 In another Parkdean project, we are in the early stages of redesigning the company’s White Acres website. White Acres is Cornwall’s premier fishing location, and is home to one of the most active fishing blogs in the UK, the News Reel. We’ll be giving the website a major overhaul. 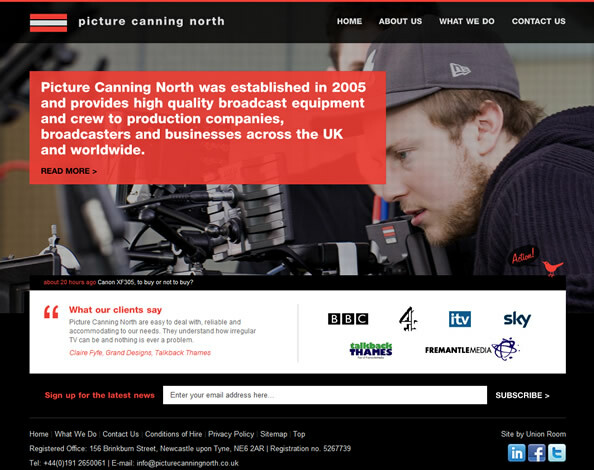 We have worked closely with Picture Canning on client projects, and also some of our own, so we were delighted to be given the chance to look at their new website. We had some fantastic imagery to work with, and we’re very happy with the final look of the website. Visit the Picture Canning North website. We launched the new Citrus system in April, and the website has completely changed the way the business works. The system has also been a big hit with users, with over 2,500 of them registering on the website in the short time it has been up and running. We will be building additional functionality into the system over the course of the year. 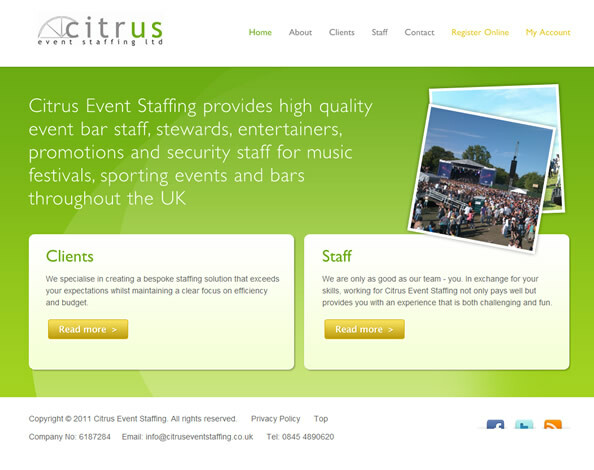 Visit the Citrus Event Staffing website. We recently worked with OSE Euro on some initial search engine optimisation work. We will hopefully be working with the OSE team on some additional work in the near future. The new Rise Lettings website is almost ready to go live. The new website adds a ton of additional functionality to their existing website, including a new content management system and maps integration. Keep an eye on the blog for this going live very soon. We cant say too much about this project at the moment, but it’s set to be one of the most complex systems we’ve ever created, using some really interesting new technology. As always, keep an eye on our twitter, blog and dribbble account for the latest news on what we’re up to.